Home / Economy / Can Romania really make it? A brand new year had started, and we still are capable of seeing the rotation of the EU Council`s presidency. Romania`s turn. A post-communist country with very rich history managed to enter the Union in 2007, now presides over it. What are the economic challenges ahead of the six month presidency? Will the Brexit hit Romanian plans in economic and financial affairs? How will Romania endure; can it really make it? In an interview with German Sunday newspaper Welt am Sonntag, Mr. Juncker said that despite being technically well-prepared “the Bucharest government has not fully understood what it means to chair the EU countries.” “Prudent action requires a willingness to listen to others and a strong desire to put one’s own concerns to one side,” Juncker asserted, adding that he had doubts that this is the case with Romania. Romania will take over the rotating EU presidency from Austria on January 1. In November, a European Commission report said that Bucharest had considerable deficiencies in implementing the rule of law and fighting corruption. “The developments over the last 12 months sadly have called into question and sometimes even reversed the progress made over the last 10 years,” Commission Vice President Frans Timmermans told reporters in Strasbourg last month. What are actually the Romanian economic and financial plans for the six month term? According to the official Romanian programe, it will be fully committed to taking forward the negotiation process on the 2021-2027 Multiannual Financial Framework, as well as to developing the EU social dimension, through the enforcement of the European Pillar of Social Rights. However no direct link between the economic and financial affairs is mentioned within the plan. 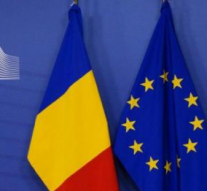 Romanian Government has stressed the importance of advancing the EU agenda in the economic and financial fields, in order to stimulate growth and investment, to deepen the Economic and Monetary Union, as well as to support structural reforms. While the promotion of research and innovation, digitalization and connectivity, has lacked within the previous presiding plans, this one envisages the full increase of the competitiveness of the European economy and industry. The Multiannual Financial Framework plays a major role in providing the proper means for achieving the objectives of policies founded on the Treaty, such as the Cohesion Policy or the Common Agricultural Policy and also in addressing new challenges. Growth-enhancing policies must still aim at reducing development gaps and the differences in the living standards between the various regions of the European Union and between citizens, and to pursue social and economic cohesion, including urban development. Simultaneously, increasing the competitiveness of the European economy remains a priority, including by developing entrepreneurship and supporting SMEs. The functioning of the Economic and Monetary Union may be optimised by coordinating economic policies, entailing measures designed to enhance economic resilience and improving budget coherence. Even compared with its neighbors, Romania has performed very well during the last couple of decades. In 2002, Romania had a GDP per capita of EUR 2,300, similar to Serbia, while Hungary registered EUR 7,100 and Bulgaria EUR 2,200, according to Eurostat data. Fifteen years later, in 2017, Romania’s GDP per capita was up by 4.2 times to EUR 9,600, while Hungary had marked a gain of 79 percent to post EUR 12,700, Bulgaria’s indicator was up by 3.3 times to EUR 7,300 and Serbia’s by 2.4 times to EUR 5,600. Even Poland, seen as a top economic performer in the region, saw its GDP per capita climb only by 2.2 times between 2002 and 2017, from EUR 5,500 to EUR 12,200. In terms of purchasing parity standards, used to better compare nations given the differences in prices, Romania entered the EU posting 39 percent of the EU average (in 2006) while the indicator was up to 63 percent last year. During the same period, Serbia experienced an increase from 32 to 37 percent of the EU average, Bulgaria from 37 to 49 percent, and Hungary from 61 to 68 percent. According to Eurostat, Romania’s 63 percent of the EU average in 2017, ranks above Bulgaria (49 percent) and Croatia (61 percent), and approaches Latvia and Greece (both 67 percent), Hungary (68 percent) and Poland (70 percent). Experts point out that, within a decade of joining the EU, the Romanian economy has grown quickly despite the financial crisis and has even managed to become the largest in the region. And yet over the very same period millions of Romanians have left the country in search of a better life in Western Europe. The seeming rise in Romanian illiberalism is, in reality, only a product of leaders’ inability to implement fundamental reforms – a failure that has helped drive more than five million citizens to seek work abroad (more than in any other EU country). While this leaves Romanian political parties reliant on further happy accidents, it will not compromise Romania’s tenure as EU president. Wheather Romania can or can`t make it, is not a question on the floor anymore, as the member state rotating presidency is being fully neglected by the stronger supranational institutions.